As a professional property maintenance worker or contractor, you work regularly in the public space – and it’s likely you’ll carry out a wide range of jobs. You may be working at heights repairing roof tiles, digging in gardens near fibre-optic cables or drilling in the basement near water pipes – either way, there are many risks you might encounter but may not always be able to foresee. A comprehensive property maintenance insurance package can provide protection for the areas where you’re exposed to threats, helping you keep your business going and balance the books if you find yourself on the wrong end of an unfortunate accident or malicious act. Public liability insurance can be essential for property maintenance professionals who usually work at the homes or business premises of their clients. This cover can help provide financial assistance if you need to defend against, or pay compensation for, claims from third-parties that your work has caused them to become ill or suffer injury – or has caused damage to their property. You may also consider product liability insurance if you supply maintenance or other products to your customers as part of your business. This cover can provide financial assistance if you need to defend against claims that your product has caused your customer personal injury, or has damaged their property. Employers’ liability insurance is a legal requirement if you employ staff in any capacity. This cover can provide financial assistance if you need to defend against, or pay compensation for, claims from your employees that working for you has caused them to become ill or injured. You will need to purchase employers’ liability insurance if you employ labour-only subcontractors, but will not need them if you only use self-employed subcontractors. Professional indemnity insurance may provide useful protection against claims from your customers that your business or its activities has caused them material, physical or financial harm. 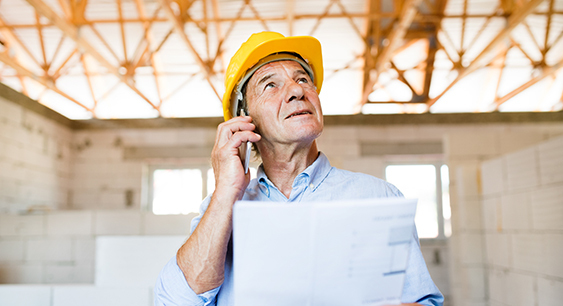 These accusations are known as professional negligence claims, and could be attributed to bad advice on your part regarding the repair of a property – or because you haven’t completed work to your customer’s satisfaction. You may consider purchasing buildings insurance which can protect the main structure of your business premises and its permanent fixtures and fittings against weather and malicious damage. If you rent your business premises, you may be able to rely on your landlord to purchase buildings insurance – check with them to make sure they have done so. On the other hand, contents insurance can provide financial assistance if you need to repair or replace the contents that are stored at your business premises and are used for your work. While contents insurance can cover all items relating to your business, it may be worthwhile purchasing additional tools insurance which can specifically cover the tools and equipment associated with your business. Tools insurance can provide financial help with the repair or replacement of your tools after damage, theft or accidental loss, and typically covers the items both on and off site – as well as while they’re in transit or storage. If you regularly hire plant or machinery as part of your work, you may benefit from purchasing separate cover for owned and hired plant and machinery. Cash on premises cover can be useful as a way of protecting your business money from theft and accidental loss, and can provide compensation if this happens. You may also consider personal assault cover which can provide financial assistance if you are assaulted during the theft or attempted theft of your business money. Business interruption insurance can be an important part of your property maintenance insurance package. This cover can provide financial assistance if you are unable to trade due to circumstances covered by your insurance policy. It can provide compensation for any loss of income you experience, and provide provisions to pay for replacement tools and equipment – or for temporary business premises. Vehicle insurance can be useful to cover both the vehicle in which you transport your tools and equipment from site to site, and the items within it. It can provide compensation if you are in an accident while travelling for business, and may pay hospital fees and the cost of renting a replacement vehicle. Goods in transit insurance can be added to your policy, and can provide financial assistance if you need to repair or replace tools and equipment that have become damaged or lost during transit. Also called Contractors’ All-Risks (CAR) insurance, contract works insurance can provide financial assistance if you accidentally cause damage to the property you are working on, or if it is affected by strong weather damage. This can be useful if you find yourself having to do two jobs at the same site for a singular payment – the work you were contracted to do, and the subsequent repairs that follow. As the name suggests, an all-risks policy usually covers a wide range of eventualities, and can cover plant and machinery alongside tools and temporary buildings, although you can purchase separate covers instead. Personal accident insurance can be useful if you become seriously ill or injured and are unable to work as a result. This cover can provide financial assistance to cover the loss of income during the time it takes you to recover and may also help with hospital bills or making essential adaptations to your home. Insurers may limit the number of employees or apprentices you can insure under one policy, while others may allow cover for secondary trades within your property maintenance insurance package. Before committing to a purchase, make sure you read the policy wording carefully, paying special attention to any exclusions that may apply.